Alex Webb was interviewed by Italian Vogue back in 2012 to mark the opening of The Suffering Of Light show in Milan. It’s a candid and revealing look behind the lens of a master photographer as he discusses inspiration and his photographic process in addition to the creation of several of his iconic images. Hit the jump for the video. 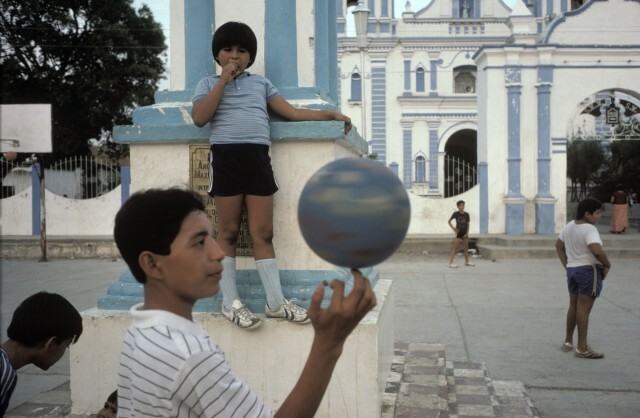 The interview with Alex Webb was shot back in 2012 but it’s making the rounds on the interweb lately and is certainly worth another look. Alex isn’t one to sit around musing about his work so hearing about the making of a few of his iconic images is both unusual and insightful. A rare glimpse at his photographic process of a true photgraphic master. 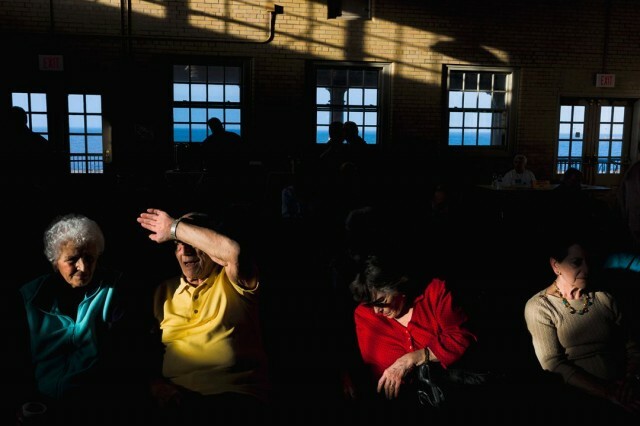 Alex Webb actually started out as a black and white photographer and learned his darkroom skills from his father. Like most young photographers in the 1970s shot black and white and processed and printed all of his own work. 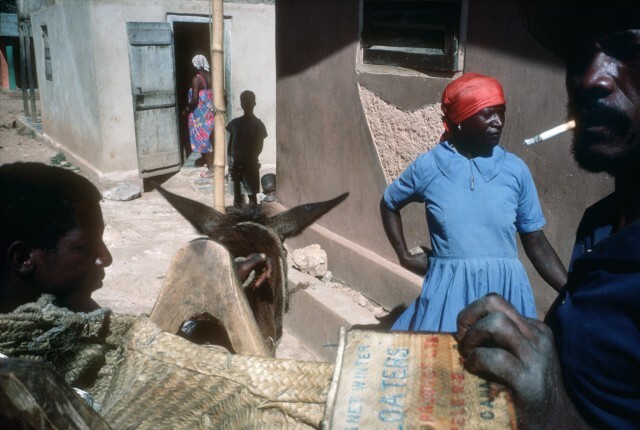 But when he travelled to Haiti he realized something was missing and the wonder and mystery of the place couldn’t be represented in without color. This watershed event started him on the path to being one of the greatest color photographers on the planet. I think going to Haiti opened up possibilities for me as a photographer that I hadn’t really thought about before. I had been very very oriented towards photographing in the United States. The work I was doing was very much in that sort of stream of social landscape photography that was being done then. People like Lee Friedlander, Gary Winogrand, Charles Harbutt. And going to Haiti sort of threw me off emotionally. In a good way. It startled, upset me. Turned me upside down emotionally. And I began to realize that there were other kinds of worlds that I felt I needed to explore and discover. What I also realized, and this took place over a period of a few years. As I did that (and I was working then in black and white) I realized that something was missing. That the intense, searing light that exists in the tropics. And the kind of brilliant colors that exist in a Haiti or a Mexico. I wasn’t capturing those in black and white. I wasn’t dealing with, at some level, the sensuality of some of these cultures. So I began photographing in color in 78 and 79 as a response to that. And basically have been working in color ever since. I mean, initially it was a response to working in certain kinds of places where there is vibrant color. Now I sort of work in color everywhere. 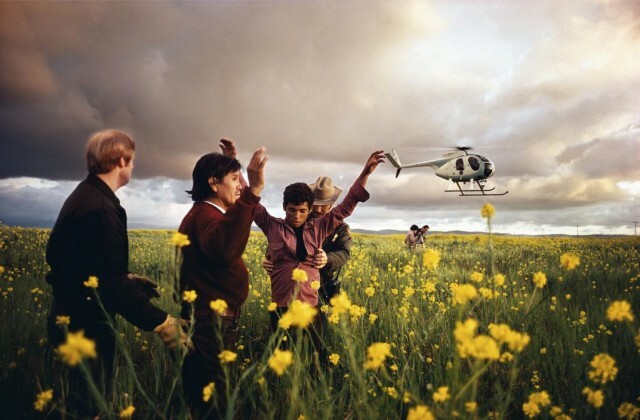 Many people consider Kodachrome to be most beautiful color film ever produced and Alex Webb was its master. It was known for its beautiful saturated colors and for being insanely difficult to process. Kodachrome and the chemicals need to process it (as color) were discontinued in 2009 and the last roll was processed on by Dwayne’s Photo in Parsons, Kansas on December 30, 2010. Alex reluctantly made the switch to digital around that same time and has since become quite proficient at getting electronic images to live up to his high expectations. Alex now shoots with a Leica M 240 and my friend Marc Rosales bought his well used Leica M9 on a recent trip to NYC. Now because the film that I used for 30 years has disappeared I’ve been forced to work digitally. I used to take a couple of cameras and a lot of film. I have some ambivalent feelings about digital. I dislike its intangibility, you know? I don’t like the fact that I look at my desk and there’s 6 hard drives and I can’t touch the pictures. I also think that I used to like that process of going and photographing and not knowing what I had. I like the process of the mystery. And then going back several weeks later or whatever and looking at the stuff. And sort of re-living my experience and the process by looking at the pictures then. Digital is immediate. There are some good things about it. You know right away whether you have something but I think it’s ultimately hard to decide in the moment or even in the matter of a few days whether you REALLY have something. I think that, in terms of editing I think time is a great help. You feel very differently about what you took the night after you took it, or two days later. Versus three months later when you really have some perspective. Or three years later when you REALLY have perspective. So I have some ambivalence about digital but I have sort of reluctantly embraced it because I just think I sort of have to work in the movement of the 21st century. And on top of that the film that I used for 30 years doesn’t exist anymore. So I would have to find another film. And who knows how long that film would be around. 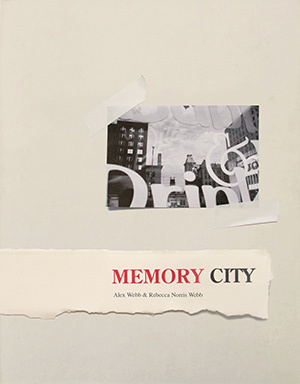 Alex’s most recent book, Memory City documents the decline of Rochester, NY after the fall of Kodak and contains a number of black and white as well as color images. It’s notable that all of the black and white shots were taken on Kodachrome and processes as black and white (the only way Kodachrome can be processed now). A wry nod to the past as his digital color work looks to the future. I love hearing how other photographers see the world and I was pleasantly surprised to hear Alex talk about how he “feels out” a potential image when he’s shooting. It’s almost like situations call to him and he can “smell” the possibility of an image. He lets his intuition guide him to images that are unsual and looks for and element of surprise. The One thing that you could never have predicted but that makes the photograph truly memorable. Usually it’s more a feeling and I think Cartier-Bresson said this but you sort of smell the possibility of a picture. You know? You go somewhere and you feel, hmm… something is interesting here. Maybe it’s this over here that’s interesting you and you sort of hang out a little bit and then this starts to happen over here and this starts to happen over here but usually the most exciting pictures are the ones where this over here happens that you didn’t think possibly could happen. Or just came out of the blue totally unexpectedly. 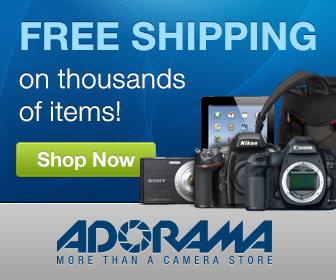 That’s when I really get tremendous excitement as a photographer. When something happens in some way that’s utterly unexpected. It’s when the world surprises me that I’m able to capture something. I think it’s a common belief that the work of street photographers is run and gun. Images created by darting to and fro while snapping images on the sly. The truth is something quite different. Patience and careful observation are often the hallmarks of the medium. 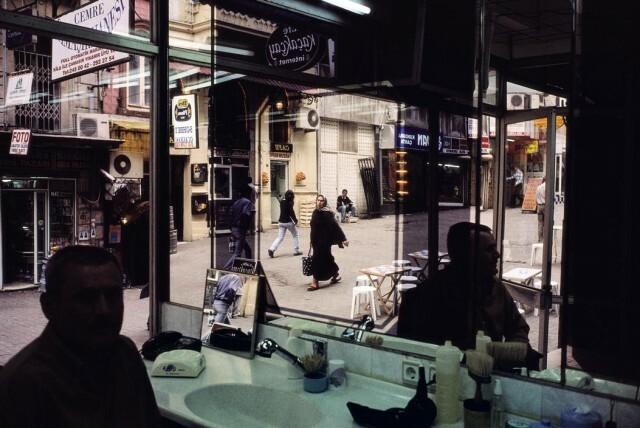 Alex is talking about his iconic barber shop image taken near Taksim Square in Istanbul, Turkey and reveals a lot about his photographic process. How he notices the possibility for an image then lingers in a location. Even though he may be interested in one specific aspect of a scene he experiments with many different shots. Exploring the scene and flushing out his ideas until he’s satisfied that he has the shot. Basically from here over is all a mirror in the barber shop. But then of course the mirror is reflecting another mirror which is showing someone walking by out there. So, as you can see, all the writing there is backwards. I hung out at the barber shop for a while. I saw, again, I smelled the possibility of a picture. I saw this mirror, I saw the guys hanging around and I took lots of different kinds of pictures in the barber shop but I kept sort of returning to this scene. To this direction. So there are other pictures with other configurations of people. But this is the one where she’s there. That person’s there. And there was a guy there. I was lucky enough to take the Finding Your Vision Workshop taught by Alex and his wife, Rebecca Norris Webb in New York City in May 2014. I found the two of them to be genuinely passionate about their craft and learned a tremendous amount in a short period. Alex would talk about his process if you really asked him specific questions but most of the time was spent discussing images shot during the workshop. But he says so much in this video that I found myself watching it several times over. Alex Webb is the real deal and hearing him speak at length about his work and his personal photographic process is both eye opening and inspirational. What’s your take on Alex Webb’s interview? Another photographer droning on about themselves or an insightful look into the mind of a modern master? Post your ideas in the comments below and keep the conversation going!